1.2 Responsible for data processing on this website within the meaning of the Basic Data Protection Ordinance (DSGVO) is Roman He nn, at: Schleissheimer Str. 220, 80796 Munich, Tel: +49 172 412 09 66, info@cryptopay.org. The person responsible for the processing of personal data is the natural or legal person who alone or together with others decides on the purposes and means of processing personal data. Cookies” are small files that are stored on the user’s computer. Different data can be stored within the cookies. A cookie is primarily used to store information about a user (or the device on which the cookie is stored) during or after his or her visit to an online offer. Temporary cookies, or “session cookies” or “transient cookies”, are cookies that are deleted after a user leaves an online offer and closes his browser. In such a cookie, for example, the content of a shopping basket can be stored in an online shop or a login jam. Cookies are referred to as “permanent” or “persistent” and remain stored even after the browser is closed. For example, the login status can be saved when users visit it after several days. Likewise, the interests of users used for range measurement or marketing purposes may be stored in such a cookie. As a “third party cookie”, cookies are offered by providers other than the person responsible for operating the online offer (otherwise, if they are only its cookies, this is referred to as “first party cookies”). In accordance with legal requirements in Austria, storage is carried out in particular for 7 years in accordance with § 132 para. 1 BAO (accounting documents, receipts/invoices, accounts, receipts, business papers, statement of income and expenses, etc. ), for 22 years in connection with real estate and for 10 years for documents in connection with electronically provided services, telecommunications, radio and television services which are provided to non-entrepreneurs in EU member states and for which the Mini-One-Stop-Shop (MOSS) is used. If users leave comments or other contributions, their IP addresses will be used on the basis of our legitimate interests within the meaning of Art. 6 (1) (f). DSGVO for 7 days. This takes place for our safety, if someone leaves illegal contents in comments and contributions (insults, forbidden political propaganda, etc.). In this case we can be prosecuted ourselves for the comment or contribution and are therefore interested in the identity of the author. Users may subscribe to the follow-up comments with their consent in accordance with Art. 6 para. 1 lit. a DSGVO. Users will receive a confirmation email to verify that they are the owner of the email address they entered. Users can unsubscribe from ongoing comment subscriptions at any time. The confirmation email will contain information on the cancellation options. We use the service Gravatar, Automattic, Inc. 132 Hawthorne Street San Francisco, CA 94107, USA, within our online offer and especially in our blog. Gravatar is a service where users can log in and store profile pictures and their e-mail addresses. If users leave contributions or comments with the respective e-mail address on other online presences (above all in blogs), their profile pictures can be displayed next to the contributions or comments. For this purpose, the e-mail address provided by the users is transmitted to Gravatar in encrypted form for the purpose of checking whether a profile has been saved for it. This is the sole purpose of the transmission of the e-mail address and it will not be used for other purposes, but will be deleted thereafter. The use of Gravatar is based on our legitimate interests within the meaning of Art. 6 Para. 1 letter f) DSGVO, as we offer the possibility of personalising their contributions with a profile picture with the help of Gravatar. If users do not want an image associated with their email address to appear in Gravatar’s comments, you should use a non-Gravatar email address for commenting. We would also like to point out that it is also possible to use an anonymous or no e-mail address if users do not wish their own e-mail address to be sent to Gravatar. Users can completely prevent the transfer of data by not using our comment system. Content of the newsletter: We send newsletters, e-mails and other electronic notifications containing advertising information (hereinafter “newsletters”) only with the consent of the recipients or a legal permission. If the contents of a newsletter are specifically described within the scope of a registration, they are decisive for the consent of the users. In addition, our newsletters contain information about our services and us. Germany: The dispatch of the newsletter and the performance measurement associated with it is based on the recipient’s consent pursuant to Art. 6 para. 1 lit. a, Art. 7 DSGVO in conjunction with § 7 para. 2 no. 3 UWG or on the basis of the legal permission pursuant to § 7 para. 3 UWG. Cancellation/Revocation – You can cancel the receipt of our newsletter at any time, i.e. revoke your consent. You will find a link to cancel the newsletter at the end of each newsletter. We may store the e-mail addresses we have unsubscribed for up to three years on the basis of our legitimate interests before we delete them for the purpose of sending the newsletter in order to be able to prove a previously given consent. The processing of these data is limited to the purpose of a possible defence against claims. An individual application for cancellation is possible at any time, provided that at the same time the former existence of a consent is confirmed. On the basis of our legitimate interests (i.e. interest in the analysis, optimisation and economic operation of our online offer within the meaning of Art. 6 para. 1 lit. f. DSGVO) the plugin Jetpack (here the subfunction “WordPress Stats”), which integrates a tool for statistical analysis of visitor access and from Automattic, Inc. 132 Hawthorne Street San Francisco, CA 94107, USA. Jetpack uses “cookies”, which are text files placed on your computer, to help the website analyze how users use the site. On the basis of our legitimate interests (i.e. interest in the analysis, optimisation and economic operation of our online offer within the meaning of Art. 6 para. 1 lit. f. DSGVO) the marketing and remarketing services (“Google Marketing Services” for short) of Google LLC, 1600 Amphitheatre Parkway, Mountain View, CA 94043, USA, (“Google”). The Google marketing services allow us to target ads for and on our site in order to present users only with ads that potentially match their interests. For example, if a user sees ads for products he has been interested in on other websites, this is referred to as “remarketing”. For these purposes, when our and other websites on which Google marketing services are active are accessed, Google directly executes a code from Google and (re)marketing tags (invisible graphics or code, also known as “web beacons”) are integrated into the website. With their help, an individual cookie, i.e. a small file, is stored on the user’s device (comparable technologies can also be used instead of cookies). Cookies can be set by various domains, including google.com, doubleclick.net, invitemedia.com, admeld.com, googlesyndication.com or googleadservices.com. In this file it is noted which websites the user visits, which contents he is interested in and which offers he has clicked on, furthermore technical information about the browser and operating system, referring websites, visiting time as well as further information about the use of the online offer. The IP address of the users is also recorded, whereby we inform within the framework of Google Analytics that the IP address is shortened within member states of the European Union or in other signatory states of the European Economic Area Agreement and only in exceptional cases completely transmitted to a Google server in the USA and shortened there. The IP address is not combined with the user’s data within other Google offers. The above information may also be linked by Google to such information from other sources. If the user then visits other websites, the ads tailored to his interests can be displayed. Users’ data is processed pseudonymously within the framework of Google marketing services. This means that Google does not store and process, for example, the names or e-mail addresses of users, but processes the relevant data cookie-related within pseudonymous user profiles. This means from Google’s point of view, the ads are not managed and displayed for a specifically identified person, but for the cookie holder, regardless of who this cookie holder is. This does not apply if a user has expressly permitted Google to process the data without this pseudonymisation. The information collected by Google marketing services about users is transmitted to Google and stored on Google’s servers in the USA. We can also use the “Google Tag Manager” to integrate and manage Google analysis and marketing services into our website. This always presupposes that the third party providers of this content perceive the IP address of the users, since without the IP address they could not send the content to their browser. The IP address is therefore required for the display of this content. We make every effort to use only those contents whose respective providers use the IP address only for the delivery of the contents. Third-party providers may also use so-called pixel tags (invisible graphics, also known as “web beacons”) for statistical or marketing purposes. Pixel tags” can be used to evaluate information such as visitor traffic on the pages of this website. The pseudonymous information may also be stored in cookies on the user’s device and may include technical information about the browser and operating system, referring websites, visiting time and other information about the use of our online offer, as well as may be linked to such information from other sources. Hi! I'm an author and consultant from Munich, Germany. Thanks for checking out my website. 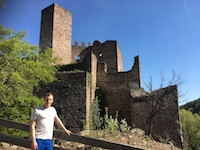 I'm also a published author on crpyto-currencies: You can check out my author page here [Link]. 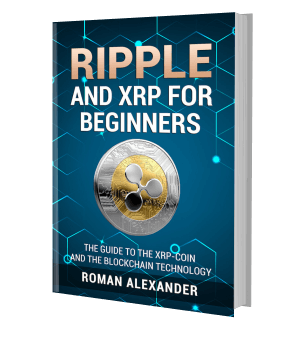 I wrote English books on Ripple and IOTA.